Patrol the scene with the Playmobil Fire Chief's Car with Lights and Sound. Children will love giving the other firefighters instructions through the megaphone. 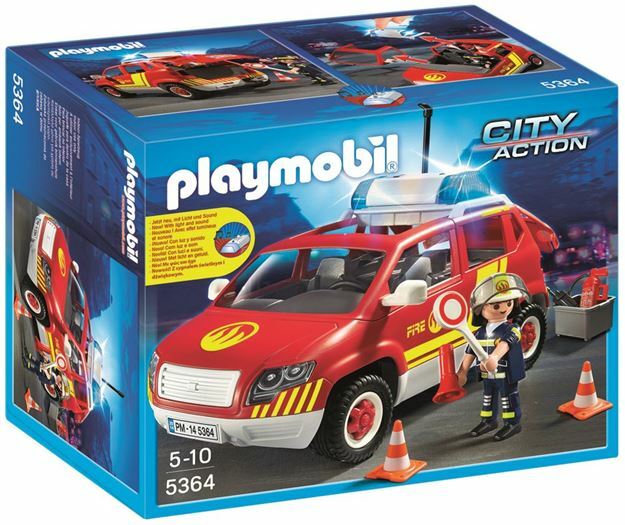 Includes: a figure, car, traffic cones, fire extinguisher, megaphone and accessories. Part of the City Action range. Age 4+ years. Distributed in New Zealand by Holdson.